The intermediate trend is sideways and the near-term trend is up. Reference a recent chart for copper highlighting the correlation with the TSX Index. 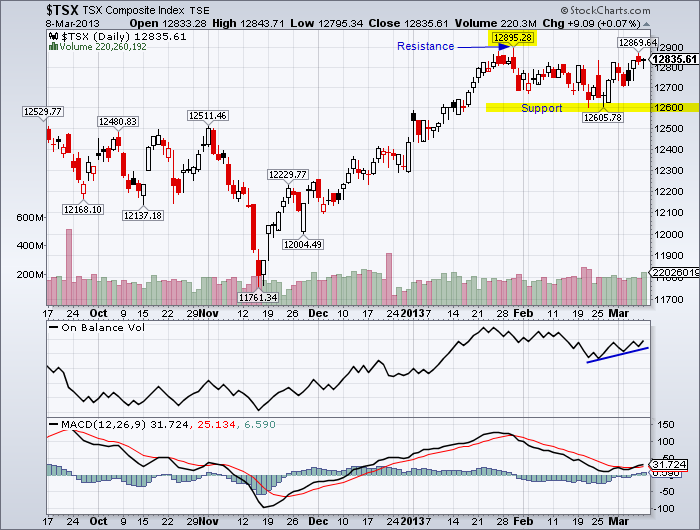 This entry was posted in TSX Index and tagged candlestick chart, TSX on March 8, 2013 by Trader.